Download the Framaroot APK from this XDA Developers page  directly to your computer. The original developer has set up a donation app you can install on your Asus Padfone if you want to send some love his way from this link . There; rooting the Asus Padfone 1 wasn’t so hard was it? You aren’t trapped in that same environment forever either. 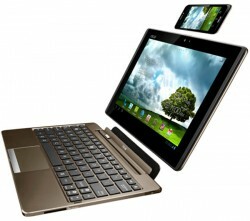 You can learn how to unroot the Asus Padfone 1 by following our guide  for that too.